Do you need a Las Vegas Black Mold Inspector? Excellent question, as Elite Water Damage Las Vegas, is your personal mold inspector. To answer this question… if the organic materials in your homes decaying you might have different species of mold hiding in your home. The chance is you have already encountered this invader in your shower, a wet drywall, or a piece of stale bread. The problem is you can find different fungi and all share a common trait they need an organic food source, oxygen, and moisture. They spread like a wildfire through spores floating throughout the air. Why is mold a problem, let us find out? Are Fungi Causing a Problem in Your Home? Alternaria – is a common spore and found in dust carpets, textiles, and dead plants. They cause hay fever and severe pneumonitis. Chaetomium – grows on plant compost and paper and very aggressive, but causes no toxic disease. Cladosporium – this fungus found in woody plants, soil, paint, and textiles. The fungi cause severe asthma and bronchospasms. Curvularia – causes corneal infections. Fusarium – this is a well-known mold found in humidifiers and infection takes place when eating contaminated food. Sometimes it can cause vomiting, dermatitis, and diarrhea. 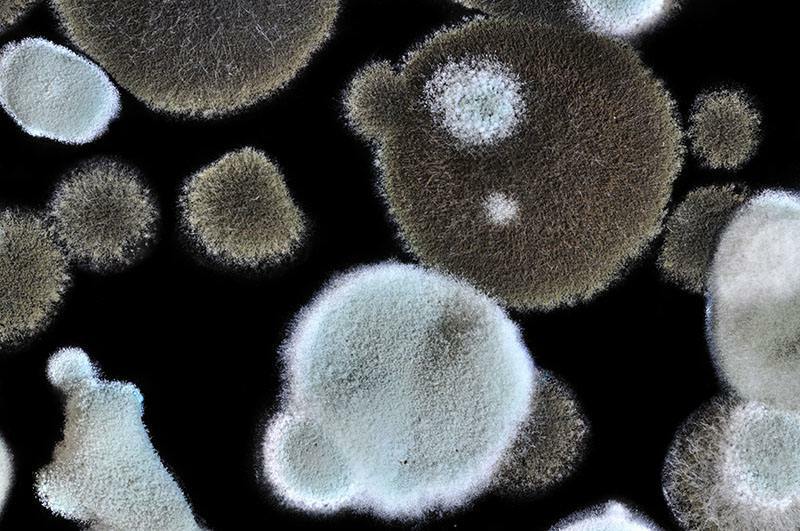 Penicillium/Aspergillus – this is a common indoor mold and found in contaminated food. You can recognize it by its musty odor and can cause skin infections. Stachybotrys – also known as black mold loves growing on building materials. The known symptoms are burning eyes & nose, flu-like symptoms, a sore throat, dermatitis, headaches, and fatigue. If you are still uncertain if there is mold present in your home, you need to address the issue. If you have leaking pipes or moisture builds up in the home, the best is to fix the problem before the fungi can grow in your home. You can contact Elite Water Damage Las Vegas to identify the source of the problem and inspect your home to find out if you have mold present. Our technicians are IICR certified to handle any problem related to mold damage. If we find mold present, we will identify the extent of the fungi growth. This process involves specialized equipment and we will take an air sample. During the containment period, we use specialized techniques to contain the area and involve HEPA filtration and more. We remove all the damaged materials and do decontamination by cleaning, non-porous, and semi-porous materials. Often we would apply an antimicrobial solution to the remaining materials. Upon completion, we present you with a final clearance inspection by using a certified industrial hygienist. Contact us today for an appointment and have your mold inspection plan in place.